On Grace Callwood’s 7th birthday, she was taken to her pediatrician in Abingdon out of concern for an enlarged lymph node behind her ear. About a week later, her mom discovered a large tumor on her inner thigh. Within a week, Grace saw a pediatric surgeon. It was a Tuesday. 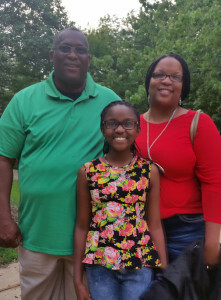 By Thursday, Grace and her family received a second opinion at Sinai Hospital. The chief of pediatric surgery strongly recommended Grace for immediate surgery to test the lump tissues. Grace underwent surgery on that Friday. Cancer was detected in her lymph nodes and in her bone marrow. The following Monday, October 10, 2011, Grace was diagnosed with Stage IV Non-Hodgkins Lymphoma. The staff at Sinai were confident they would “melt this cancer.” And they did. 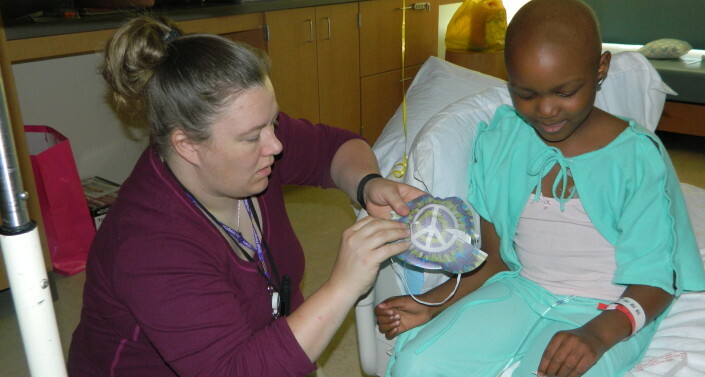 Grace completed chemotherapy in April 2014, and is a healthy, vibrant and giving child. Sinai Hospital remains vital to Grace’s Family. 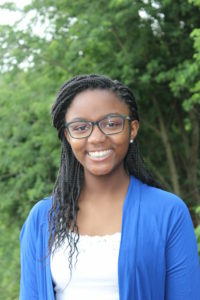 Equally as important to T’Jae is that each doctor treating Grace was able to balance their care for the innocence of their young patients while still validating that even the youngest among them has a voice in their medical treatment. They exhibited true partnership with parents; careful to be prescriptive in medicine and not in parenting. Through her pediatric cancer journey, Grace started and now manages the charity We Cancerve Movement (www.wecancerve.org). She deliberately plays on the word cancer signaling a conscious choice to provide service to others from her own painful experience. Today, Grace is an 8th grader in Harford County schools. *The recent renovation of Sinai Hospital was in large part, due to funding from The Children’s Cancer Foundation, Inc. (CCF). CCF and Sinai hospital remain in partnership to bring the best in pediatric oncology to the community.